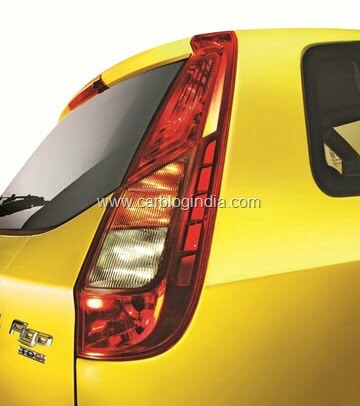 Ford India has launched the new 2012 Ford Figo 2012 has been launched in Mumbai India on 15th October 2012 with some new features and some cosmetic changes to make the already popular hatch even more desirable. It is no coincidence that this launch took place just at the kick-off of the festival season in India. There are plenty of new car launches lined up for the festival season of 2012 in coming weeks. 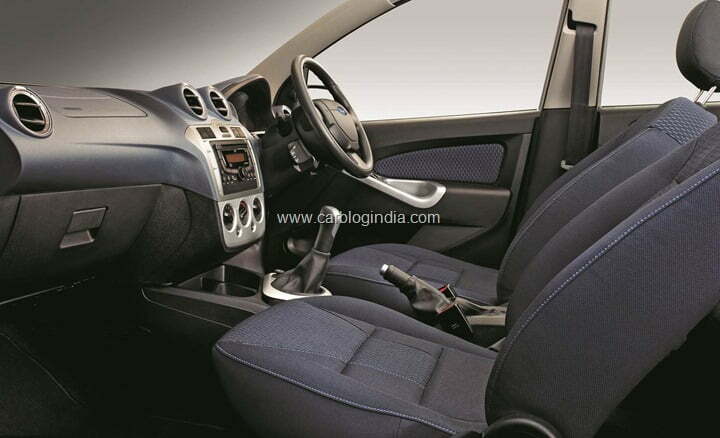 Coming back to the new Figo, the Figo gets some cosmetic upgrades detailed below. 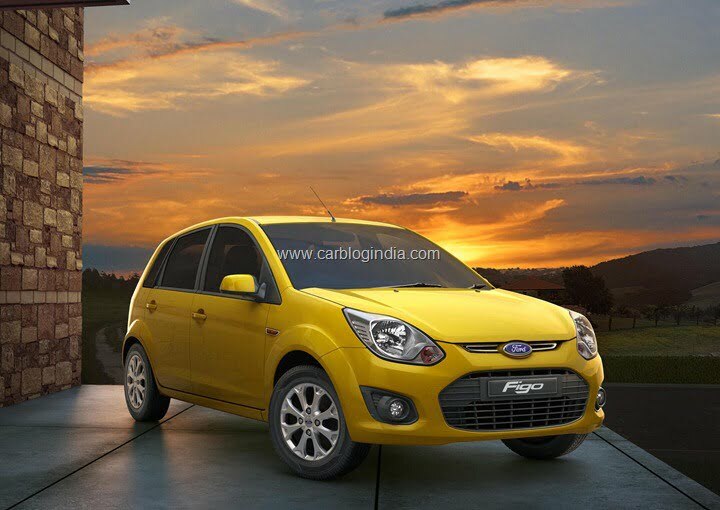 What Is New In 2012 Ford Figo? On the exteriors of the new Figo you can notice new headlamp design with sweep back design, new turn indicator placement inside the headlamp cluster, new alloy wheels which make it look even sportier. 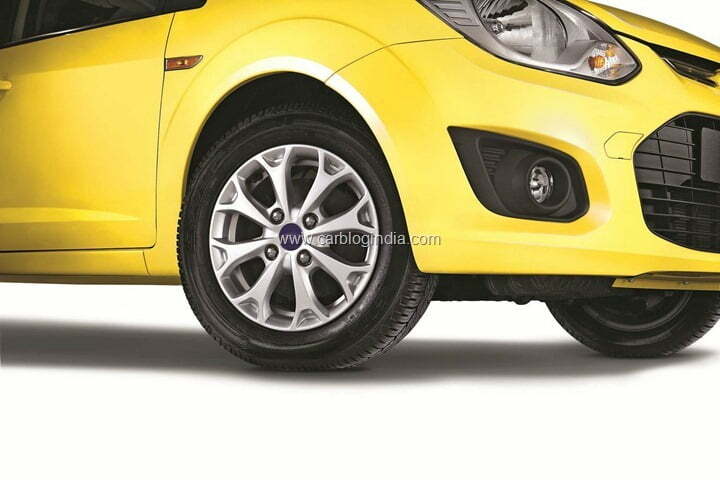 The alloy wheels come on the top end variants only and not at the entry level. The tail lamp cluster at rear has also been revamped for better aesthetics as well as safety by moving the stop lamps higher towards the roof of the car. 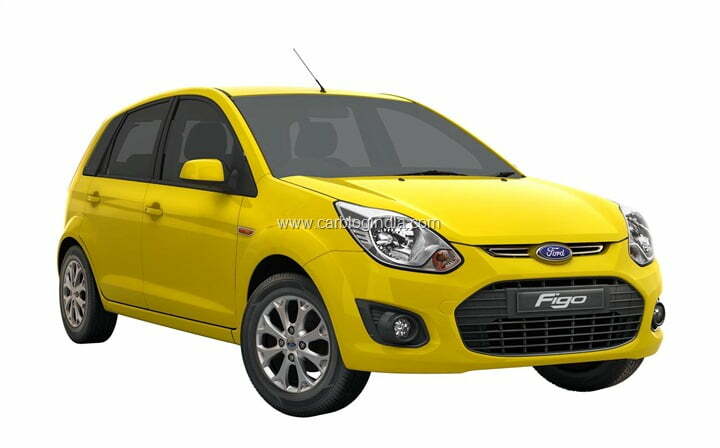 The front bumper has been modified to give 2012 Ford Figo a new fascia and new look. 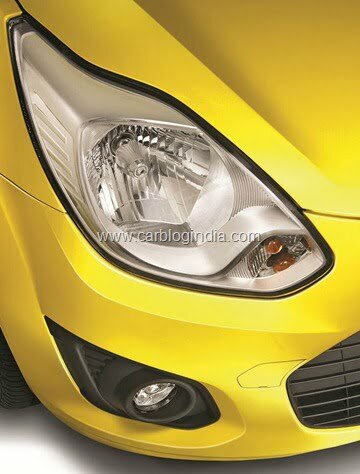 The fog lamp housing looks sharper and the grille looks more aggressive and has more attention-grabbing looks. These design elements are inspired by Ford’s Kinetic design language used in the 2011 Global Fiesta. Two new exterior colours – Bright Yellow and Kinetic Blue have been added to the lineup. On the features front, there are audio controls mounted on the steering column and not the steering. 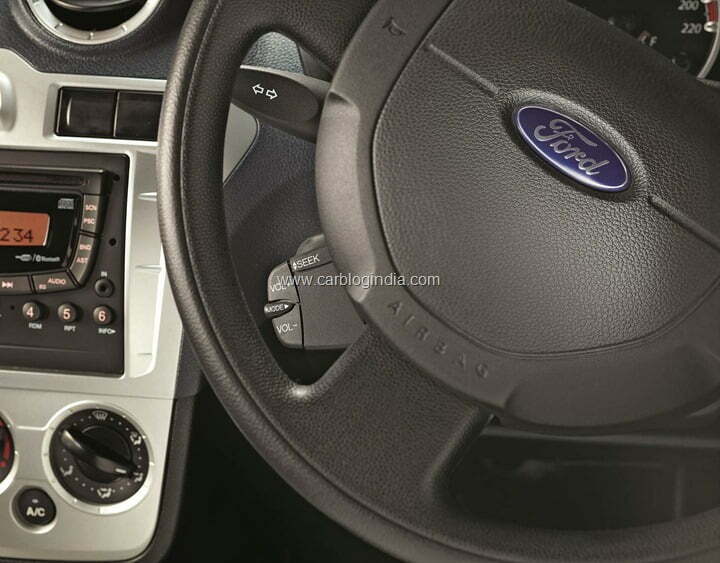 This feature might be an attempt to tackle competition in the segment as most small cars offer steering mounted audio controls on their two top end variants. Providing steering column mounted controls will offer the similar levels of convenience but some customers may find it not-so-intuitive as the steering mounted controls. 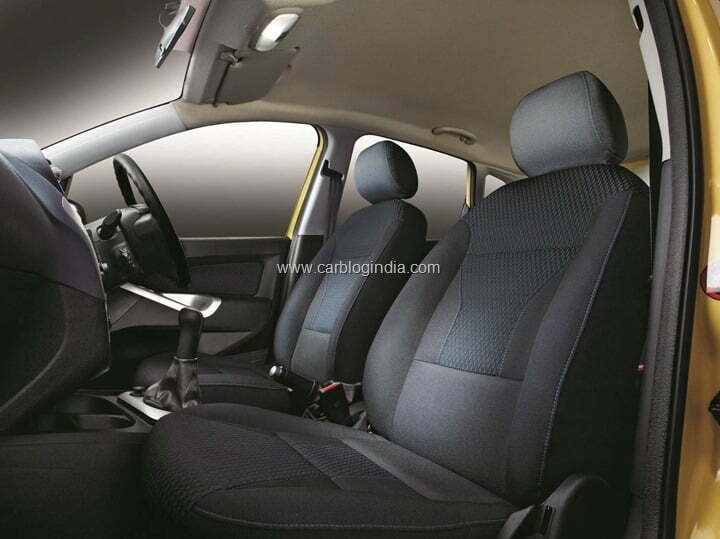 Similar controls are found on the top variants of the Renault Duster compact SUV.On the inside, there is also new seat fabric and design to give Figo a refreshed look and feel. The interiors get a new colour block fashion theme for fabrics. 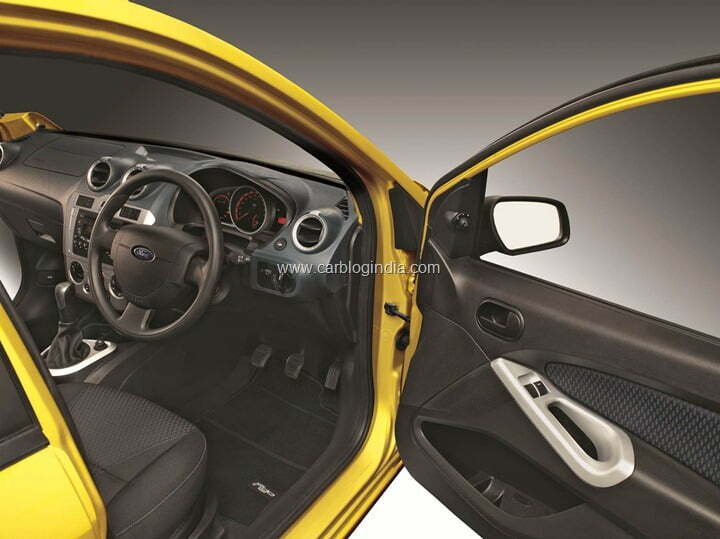 2012 Ford Figo comes with two engine options, a 1.2 Litre Duratec Petrol engine and a 1.4 Litre Duratorq diesel engine. The petrol engine unit delivers about 70 BHP of power and 102 Nm of torque while the diesel engine produces 69 BHP of peak power and 160 Nm of torque. Both the engines are quite capable and deliver decent real world fuel economy with good performance. The diesel may feel a bit lethargic until it crosses the turbo-lag, but does give good pep close to 2000 RPM. In terms of safety features, the Figo comes equipped with ABS and airbags on the top end variants and does offer anti-theft systems and central locking on most variants. Air conditioning and power steering is standard on all variants. The engine’s calibration has been improved to deliver better pickup in first and second gear which has been one weak point in the previous version. There has been reduction in the NVH levels in the new model as there are new paddings added to make it more quieter on the inside. 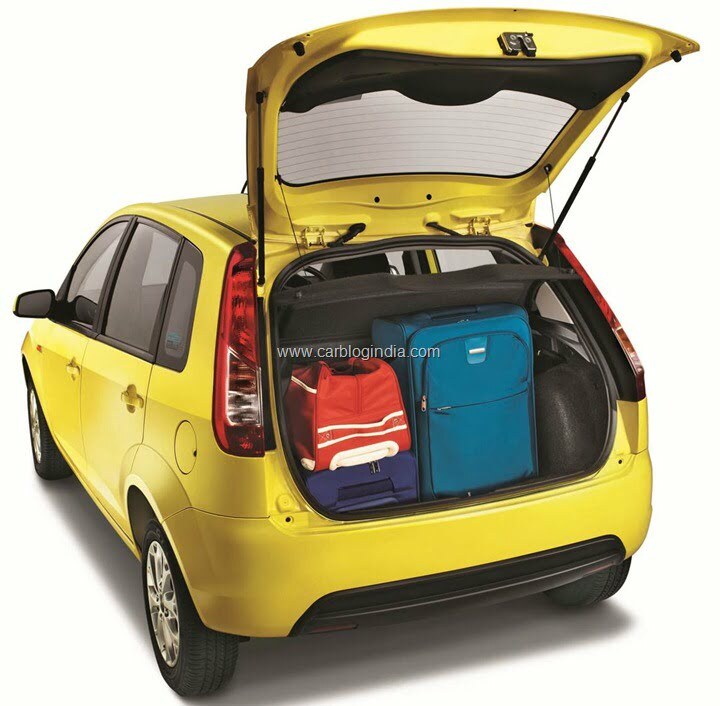 It comes standard with a 2 year or 1 Lakh Km warranty. 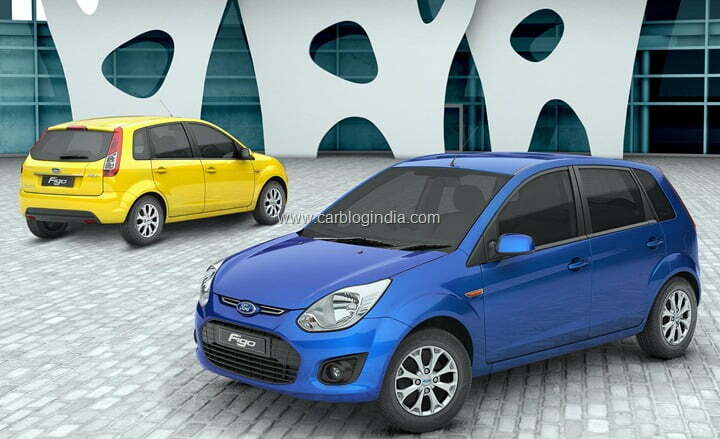 2012 Ford Figo has been priced starting Rs. 3.85 Lakhs for the base petrol variant and Rs. 4.82 Lakhs for the base diesel variant, both prices ex-showroom Delhi.